What does the world and our culture deem as ‘foolish?’ What should we consider as ‘wisdom’ as believers in a culture that has departed from God, Christ and the scriptures? What do these things mean for us? Open your Bible to Daniel 2:1-30 and join us as we explore the vast differences between king Nebuchadnezzar and Daniel in this incredible story of the king’s dream. Watch the archived Facebook LIVE stream by clicking the button below! APPLICATION> God used a gospel singer to inspire a young black preacher to inspire a nation to turn from the sin of segregation. Amidst rising technology, science and the like God used a speech to actually change people? Wow…. that’s a lot like the way God works..
Big Idea> What the culture calls foolish God uses to reveal his wisdom. Foolishness is restless, wisdom is peaceful. v1 “Ned had dreams his spirit was troubled, and his sleep left him…” The language is strong here, literally meaning that he was disturbed and his sleep “broke away” Recurring, troubled dreams. God was speaking to him and troubling him. APP> The world always over-promises and under-delivers. v14 “then Daniel replied with prudence and discretion…” Daniels life has just been threatened and he responds with soundness and wisdom? APP> What the king desires the slave possess. 2) Foolishness is helpless, wisdom is prayerful. v10 “The Chaldeans answered the king and said, “there is not a man on earth who can meet the kings demand..” How frustrating is that? He has everything at his fingertips expect the one thing that he needs! v12 “because of this the king was angry and furious…” Interesting isn’t it? They don’t give him what he wants so he throws a fit. “One of the great evils of idolatry is that if we idolize, we must also demonize” said Jonathan Edwards in his book ‘The Nature of True Virtue’. APP> How much of your time is spent expecting from people what they were never meant to give you? v17-18 “and told them to seek mercy from God of heaven concerning this mystery..” I love it, Daniel goes to his boys and they go before the Lord! APP> True wisdom is not found in going around God but rather going to God. 3) Foolishness is prideful, wisdom is humble. *ILL> Here is a pic of our Solar System. (PIC) It revolves around the Sun. It it didn’t we would die. Our planet was made to orbit around something…. and so are you. 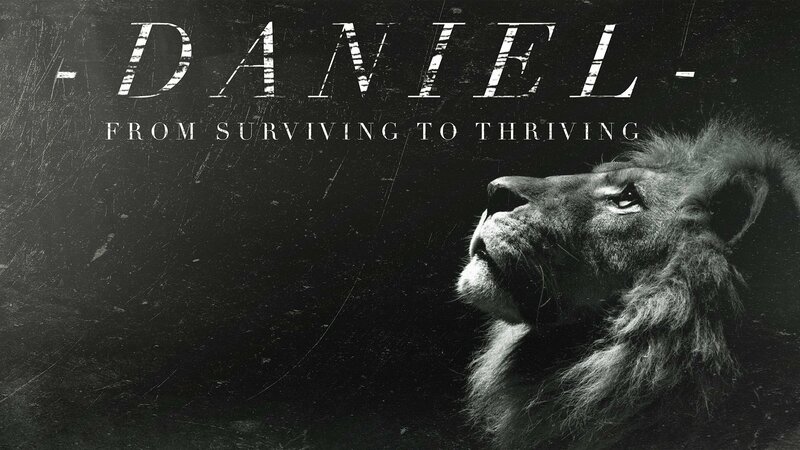 v28 “there is a God in heaven..” v30 “not because of any wisdom that I have…” Do you see what Daniel is doing here? He is deferring to God! How awesome is that! And he is telling King Neb, listen.. .this whole things isn’t even about you! Close> Do you see what’s going on here? How Daniel is the mediator for King Neb? That he literally brings God to him? A exiled slave is the mediator for a king that has everything? Sounds familiar right? What if what you think is foolish in your life is the very way God is revealing his wisdom to you? Are you demanding from people what they can never give you? Do you realize the access and power you have to God through prayer?